We offer PhD research training for clinicians. Our clinician PhD students tackle important questions in cancer, immune disorders and infectious diseases. Around 25 medically trained students work within our research teams. After graduation many of our clinician PhD students take on senior clinical roles at tertiary hospitals in Australia or internationally, or become clinician-scientists at leading research organisations. Clinical translation staff to assist and advise with Human Research Ethics Committee approval support, tissue sample collection and processing, and peer support programs. Investigate our student research projects, or contact a laboratory head about a disease or research field that interests you. Our Clinical Translation Centre can also assist you in locating a suitable laboratory, organising a tour or answering your queries. Prospective students can also contact our Clinical Translation Centre to organise a tour. The Institute also offers PhD scholarships or philanthropic funding for selected students. Please check scholarship closing dates as these vary throughout the year. Dr Shereen Oon is a clinician completing a PhD with our Inflammation division. 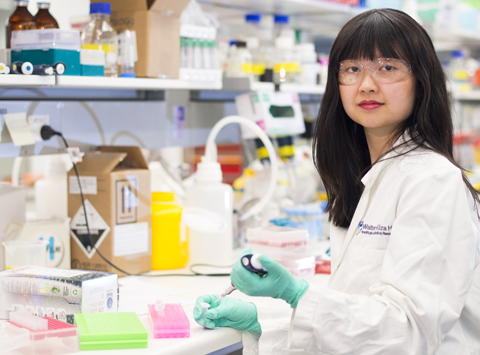 She describes her PhD research into lupus, day-to-day working in a lab, and the benefits of working at the institute. Starting with a landmark discovery in 1988, follow the story of how Institute research has driven development of a breakthrough anti-cancer drug.